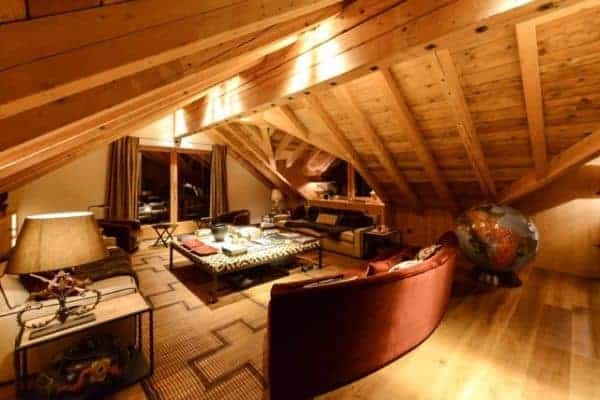 Within walking distance to the Surlej-Corvatsch lift station is a luxury chalet that can also be considered a ski-in and out property, with the slopes are a mere 50 metres beyond and with lovely scenic views of the lake to the front and forest at the back. 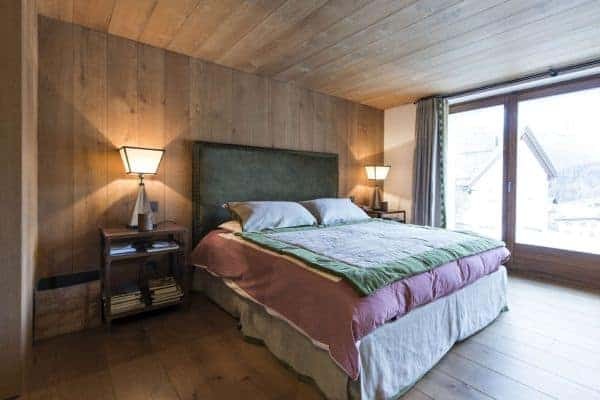 Surlej is located in the most scenic part of the Engadin Valley, where it is wide and defined with the presence of a lake and steeply rising mountains. 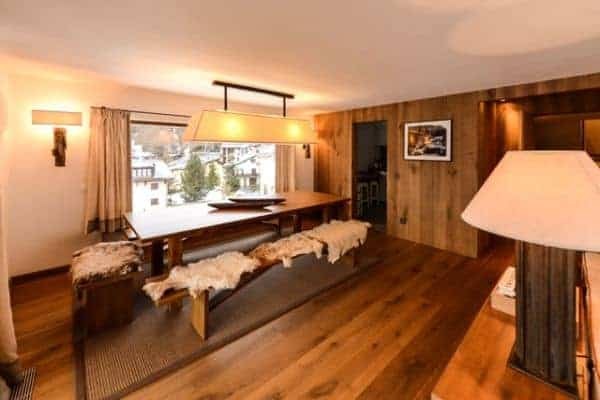 Corvatsch is the highest of the main ski areas and the chalet is a five-minute car ride to St Mortiz, the iconic resort, which has twice hosted the Winter Olympic Games and the epitome of international jet-set exclusivity. 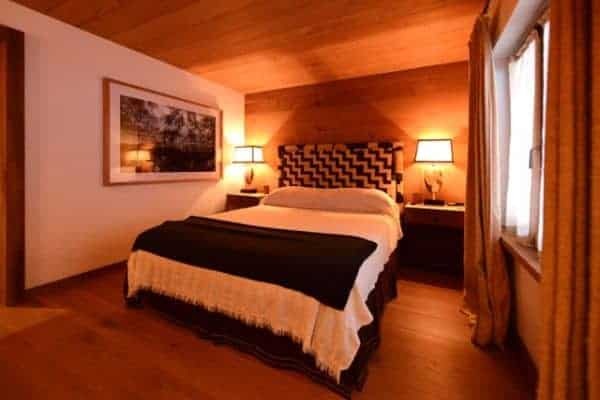 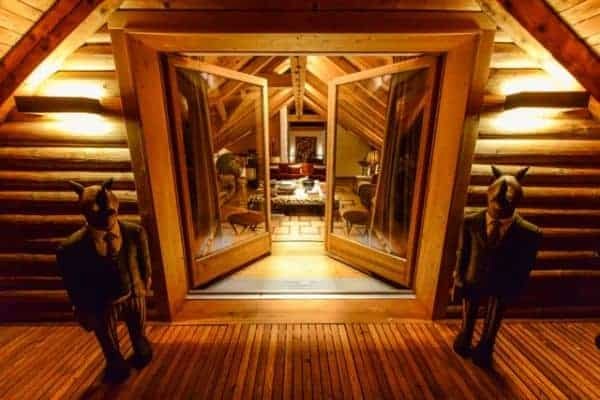 The special chalet is suitably distinguished family residence offering luxury and style and is the recipient of accolades from architecture and design magazines. 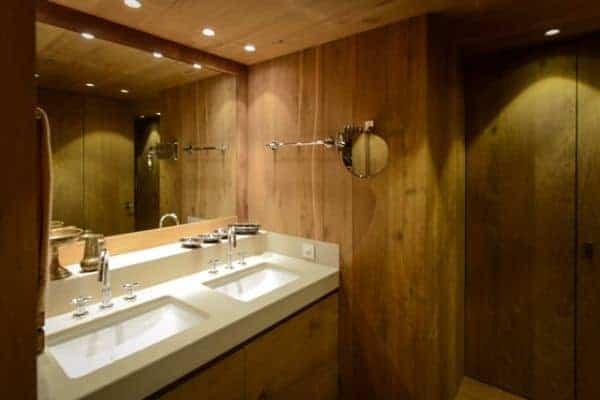 Its sophisticated interior design conveys bespoke elegance with a touch of modern Scandinavian sensitivity and a nod to minimalism. 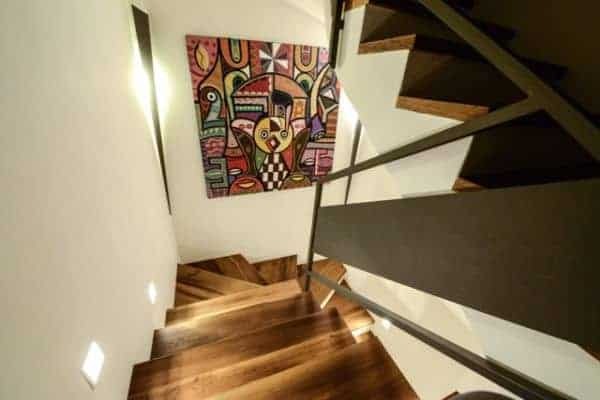 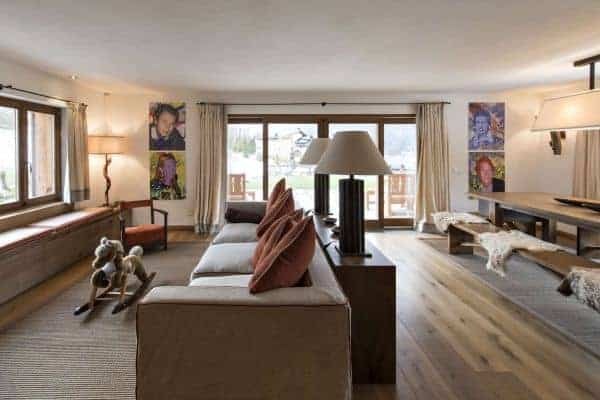 The inspiring inclusion of African elements elevates the décor with a considered placement of objects d’art, hanging art, striking sculptures and luscious printed textiles adorning furniture and walls and laid on floors. 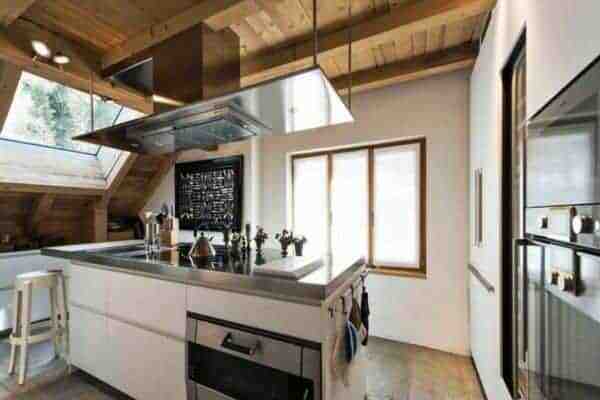 Added to this is immaculate finishing and harmonious warmth created by wood beams, clad walls and stripped floors. 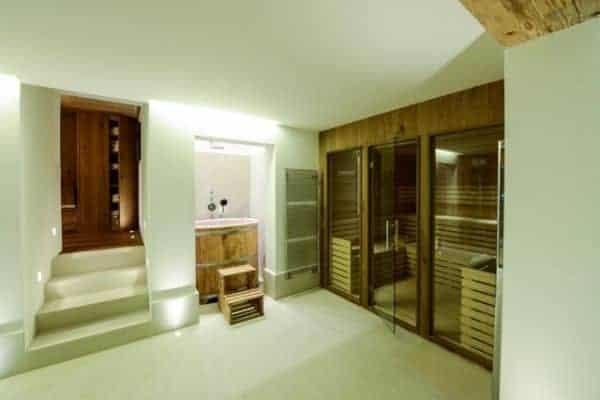 Light wood, white fittings and stainless recur throughout. 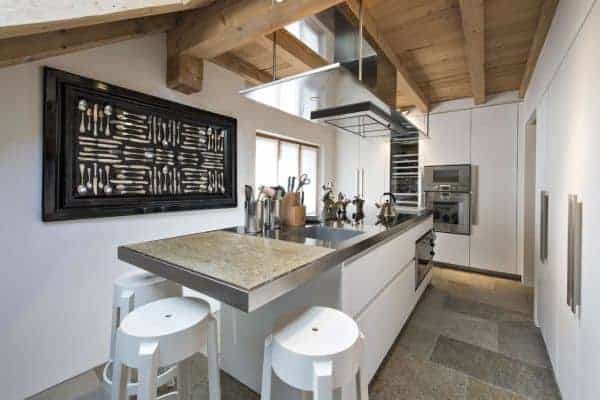 The stylised and professional kitchen is an impressive arrangement of wood beams, sparkling white walls, skylights, polished steel, glistening white fixtures, unusual art pieces and a central island that becomes a breakfast bar at one end. 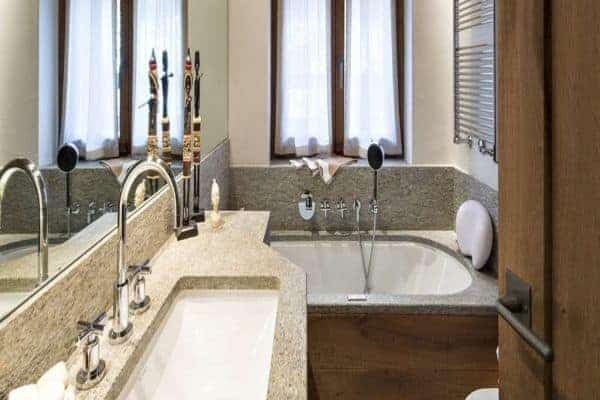 Similar combinations extend to even the smart bathrooms embellished with discreet lighting. 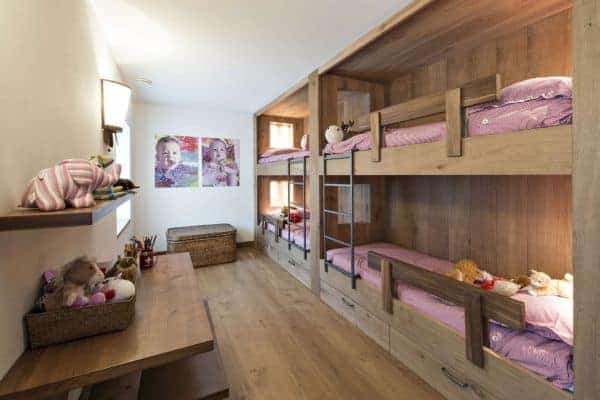 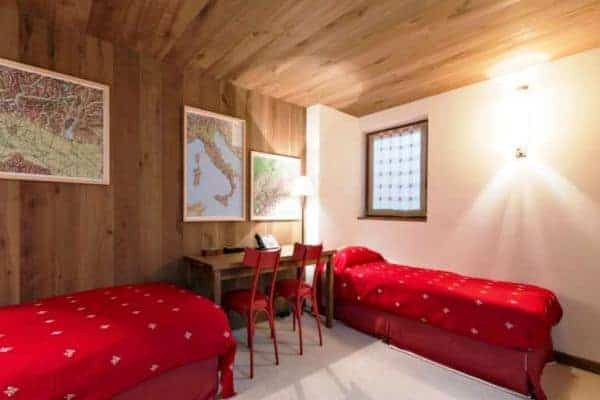 Another added bonus is that this chalet is a child-friendly environment: one that includes two sizeable bed-bunk rooms that can sleep 8 small kids and a similarly spacious, open-plan living area with no stinting on luxury includes a fireplace, glazed doors to balcony and a roomy and benched dining table. 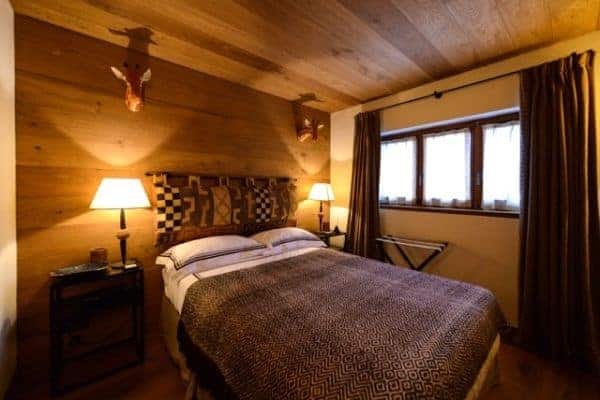 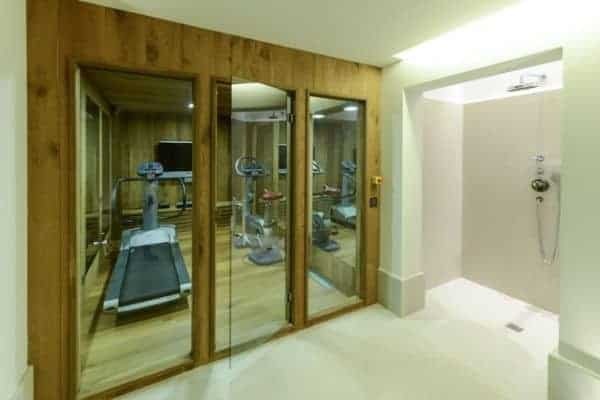 This luxury family chalet has 3 levels (accessible by a lift) and will accommodate up to 18 guests (10 adults and 8 kids/nannies) in 9 spacious bedrooms en suite, with generous beds and televisions fixed on or inset in the walls. 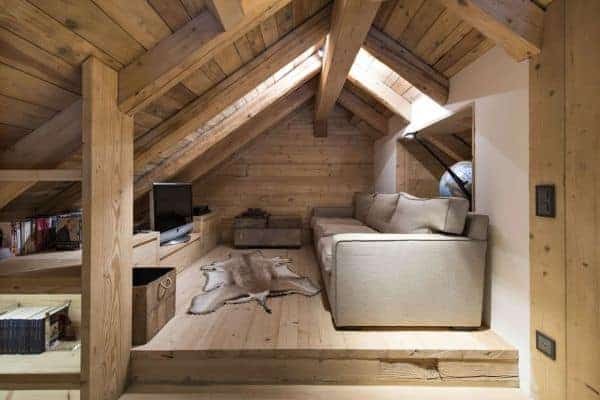 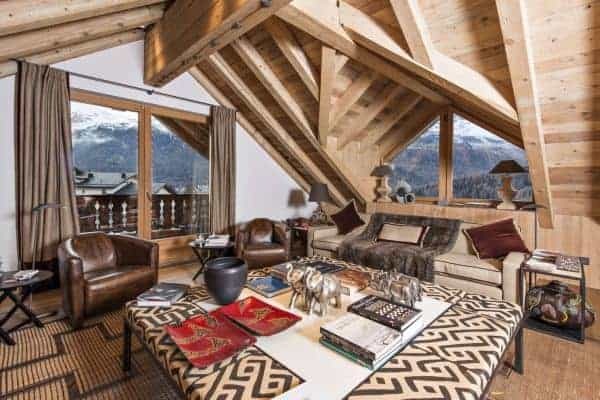 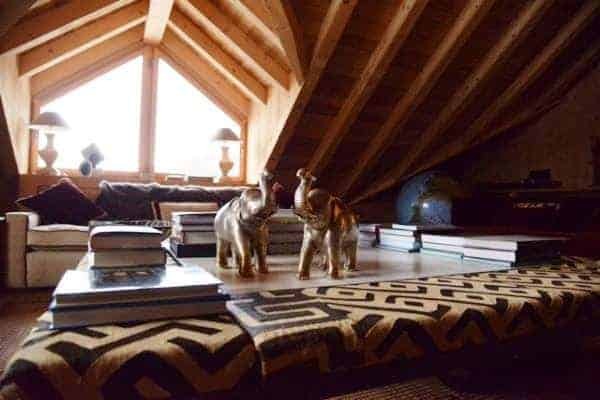 Equally relaxing will be the ‘grown-ups’ living room under the vaulted beams in the chalet’s eaves, where you can enjoy the captivating views relaxed on deep sofas in the embrace of plump cushions and furry throws. 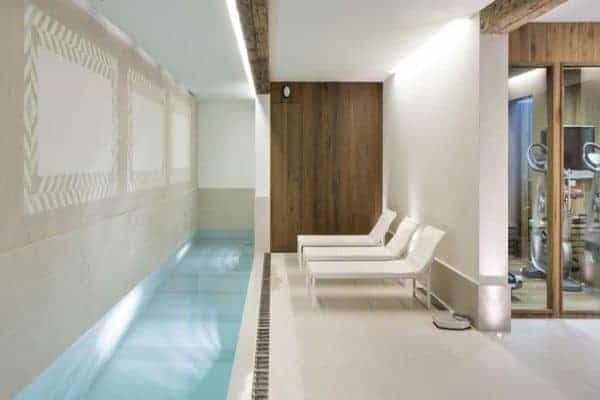 Downstairs you may want to relax in or around the long and lean indoor swimming pool or to pamper aching muscles in the spruce and woody Scandinavian spa. 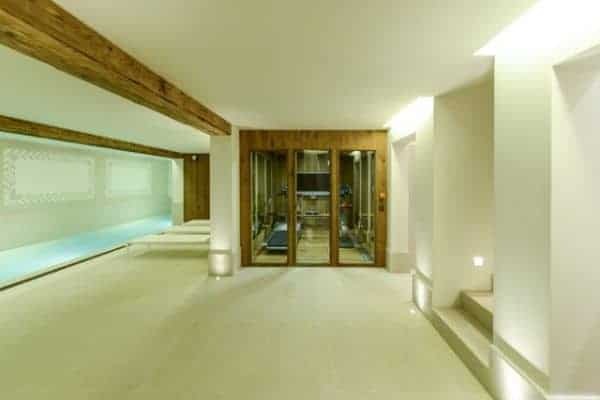 A smart high-tech fitness area is glazing facing the pool deck to allow the gym bunnies interaction with the pool loungers. 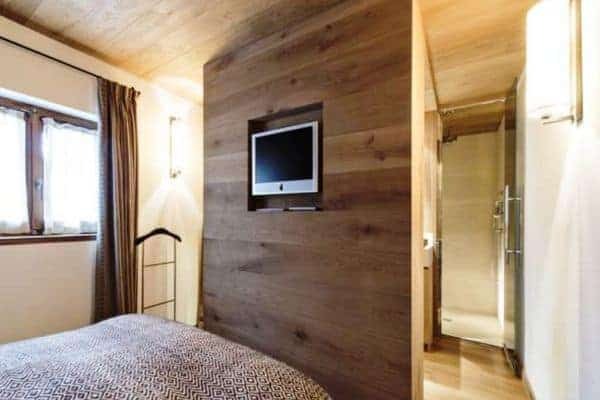 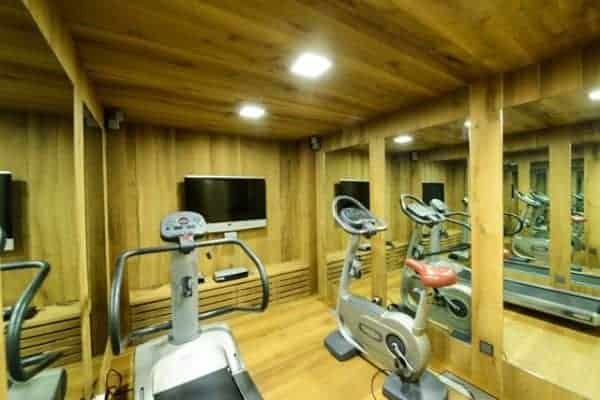 Everyone can enjoy this neat, compact and welcoming retreat, especially after a day out on the mountains, and the chalet is arranged for considerable amount of togetherness. 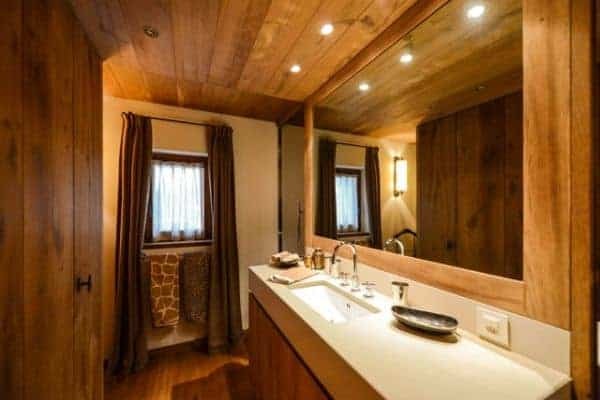 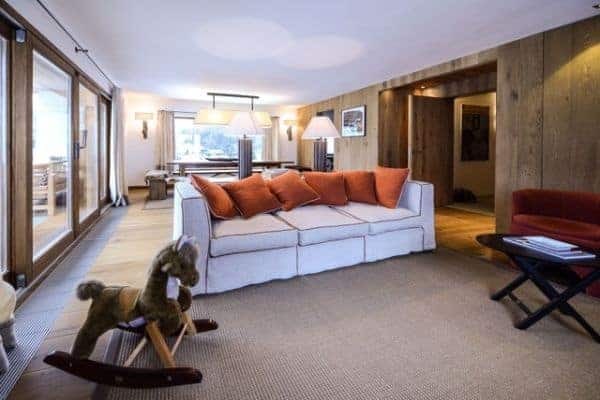 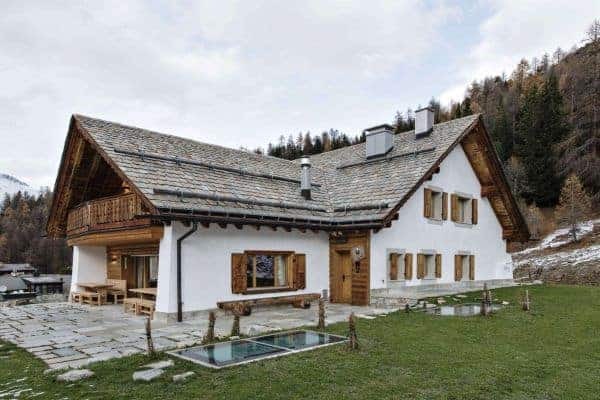 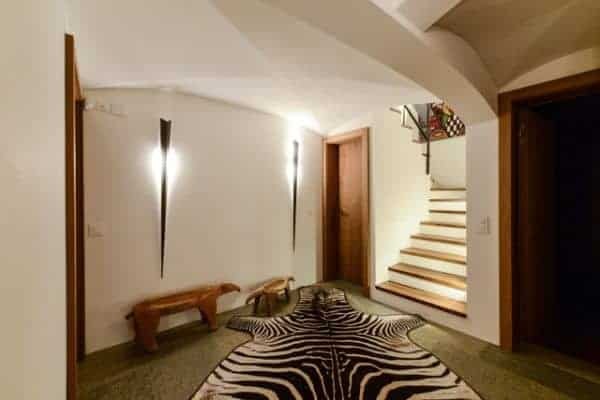 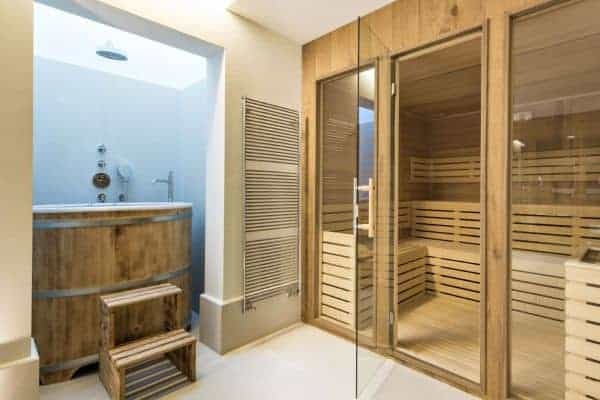 Here is a formidable and sociable luxury chalet that makes a perfect alpine residence for a large family or two, as well as a large group of friends that wants a unique experience of top-end luxury and excellence of location in the Engadin Valley. 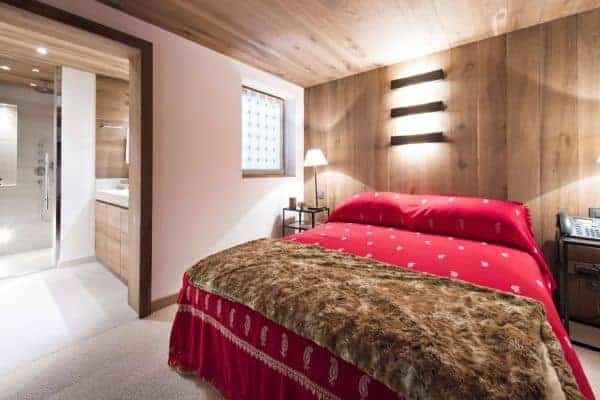 Though the lift station is nearby, the chalet also enjoys privacy and has ample underground parking. 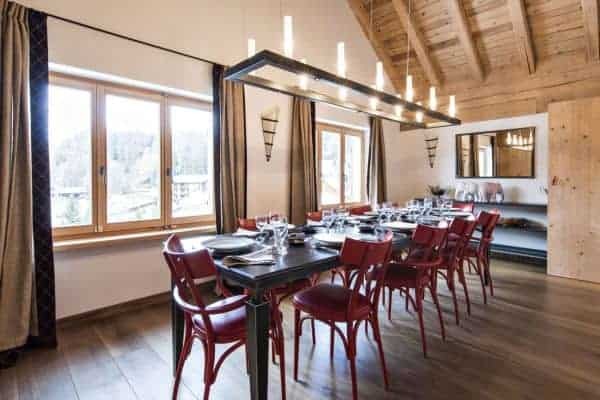 A resident butler and a chef are on hand to ensure an exceptional holiday experience and a chauffeur service is available with an extra cost to take guests on delightful excursions around this beautiful region.